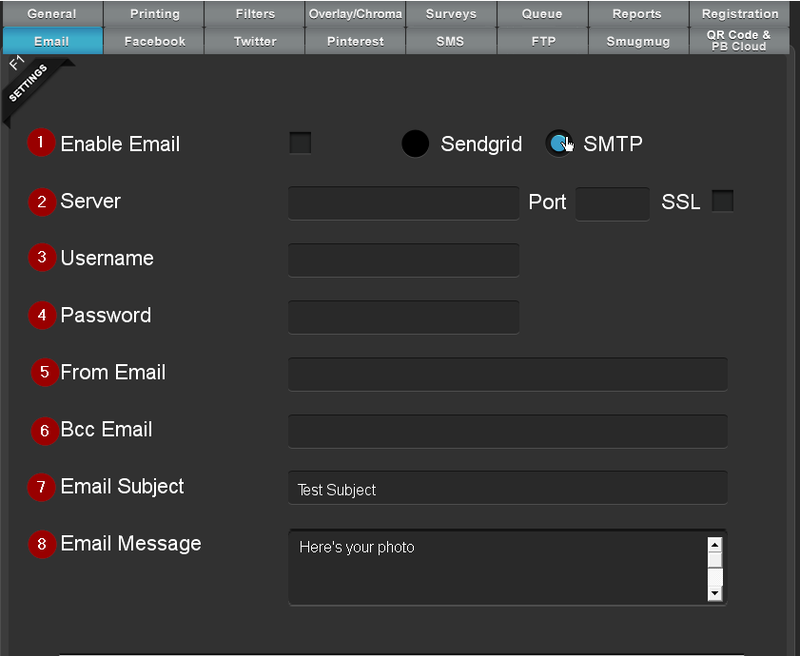 PBC uses Sendgrid for email delivery. You will need to signup here. It's free for 200 emails/day. If you need more there's a plan for $10/month that gives you 40k emails/month. Checking this will enable the email sharing button for users to email their photos. This is the username that you signed up for Sendgrid with. This is the password for your Sendgrid account. This is the email address that you want the emails to come from when they are sent to the users. This is the email address that you want to blind copy all emails that are sent to user. Note: The photo is sent as an attachment. 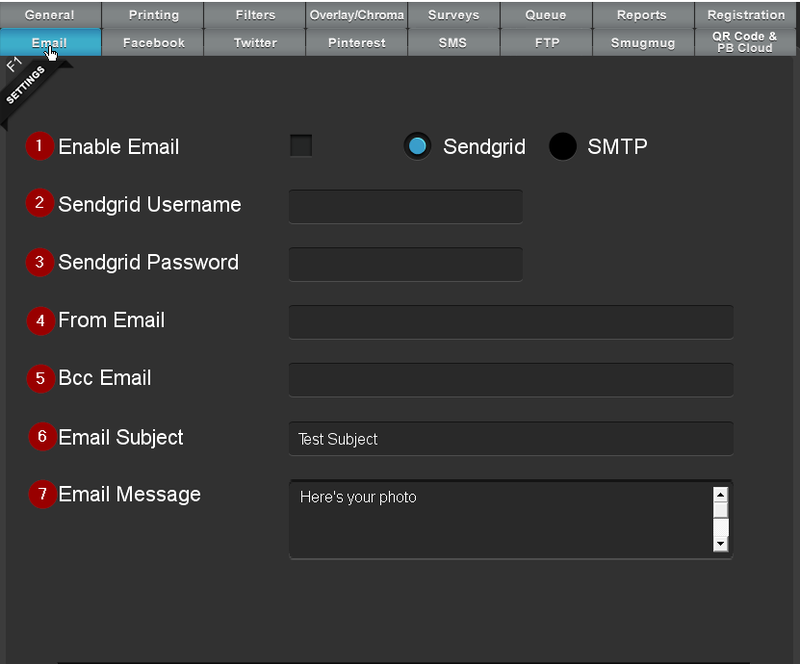 For more complicated HTML email messages, you will need to use Sendgrid's Email app. The email app is included with the free plan and the Silver, Gold & Platinum plans. It is not included in the Bronze plan. You can also set up the email service using your SMTP settings. These will vary based on provider. This information will come from your email client. If you do not have this information contact your email administrator. This is the username you use to log into your email client. This is the password for your email account. This is the email address that you want the emails to come from when they are sent to the users. Some SMTP settings require this to be the same as your username/email address. This is the email address you can blind copy on every email that is sent. The subject of the sent email. The body of the email message sent to the user.